Welcome to luxury 55′ motor yacht charter out of Sydney. Experience the city and harbor from it’s best vantage spot . The 55′ motor yacht comes with a great lay out, and is from high end yacht builder Riviera. Luxurious details abound throughout the yacht, including teak wood flooring and leather sofa.The yacht comfortably holds up to 22 guests. Air conditioned main salon and fly bridge areas provide great comfort under all weather conditions. Enjoy Aussie sun shine on the front deck, or view Sydney’s famous opera house from the fly bridge. Have an out door lunch over the transom dinning area, or jump into water at a private beach. 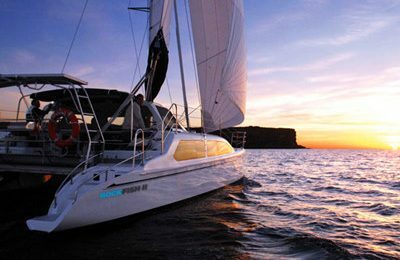 The fun on the water is endless while chartering this beautiful private yacht over stunning Sydney harbor. 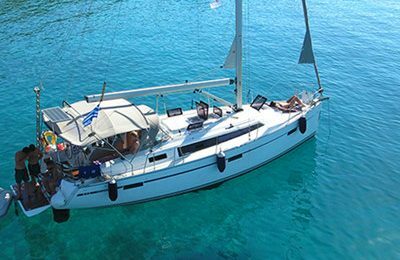 The vessel has been professionally maintained, kept in great shape , and operated by passionate team of sailors. 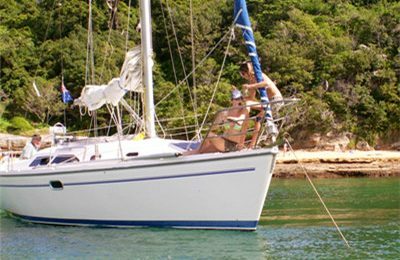 Base price includes yacht rentals, captain hire,fuel, dock fee & crews,tax. You can also bring your own food and drinks as you wish. A 55 feet in length overall fly bridge motor yacht, interior has been updated constantly, running in great shape.HI-FI sound system throughout,3 state rooms, 2 restrooms & showers,fully equipped working kitchen,BBQ grill,kayaks,water toys. Handling this motor yacht is available upon request, captain will be happy to share sailing experience with you.